One of my favorite parts about going back to school is getting the chance to decorate my room. Although I am no longer in a dorm room decorating my apartment bedroom is equally as exciting as is the thought of decorating our new apartment's living room (more to come on that later). I have always LOVED interior design and used to solely play the SIMS because I could build and decorate their houses. My mom and I were recently talking to someone at a party when she started telling a story about me that I don't remember but sounded far too accurate. After we moved into our house (mind you I was 4) she left my brother and I in our living room to play and came back to me playing "interior decorator." She said that I would be telling my brother that "this chair would look good in that corner but could also be used in the bedroom" and other statements of that nature. Needless to say, I love going up and down aisles of home decor, scrolling through pinterest, and of course designing a new space. 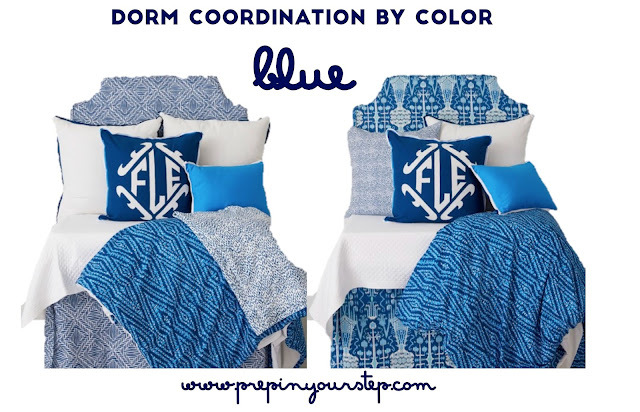 I think that the best part about decorating your dorm room is that you are able to personalize it with what you like and what you think it will feel most like home for you. When doing this, it is important however, to keep in mind what your roommate wants as well. While it's definitely not imperative for your stuff to be identical making sure it doesn't clash is always nice. Freshman year my roommate and I both had ideas for what we wanted and were able to achieve a look that encompassed those ideas without being overwhelming to the eyes at first glance. 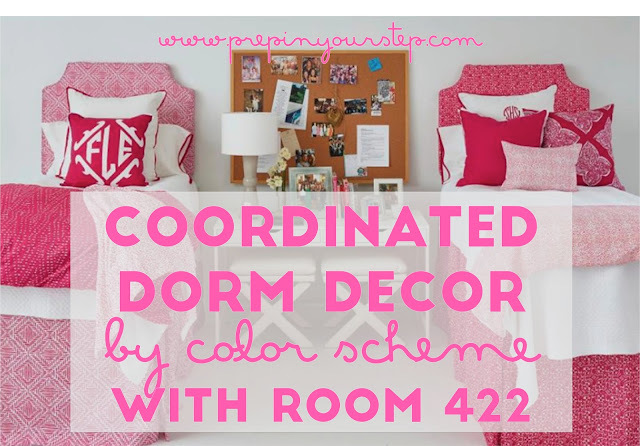 I recently discovered my new favorite site for all of your dorm decor dreams, enter Room 422. Room 422 is filled with bright colors, practical designs, and pieces that you will be able to use long after you lock up that dorm room door for the last time. The best part about their pieces are the fact that there are so many different patterns and colors that you could easily communicate with your roommate to agree on a color and personalize your space with Room 422 to make it look cohesive but still individual. I have spent more hours than I care to admit brainstorming all of the different ways Room 422's pieces could be combined to create an effortless and cohesive dorm room and thought it would be fun to share how I put together different fabrics and colors to create a room that portrays you and your roommates personalities while still being picture perfect! 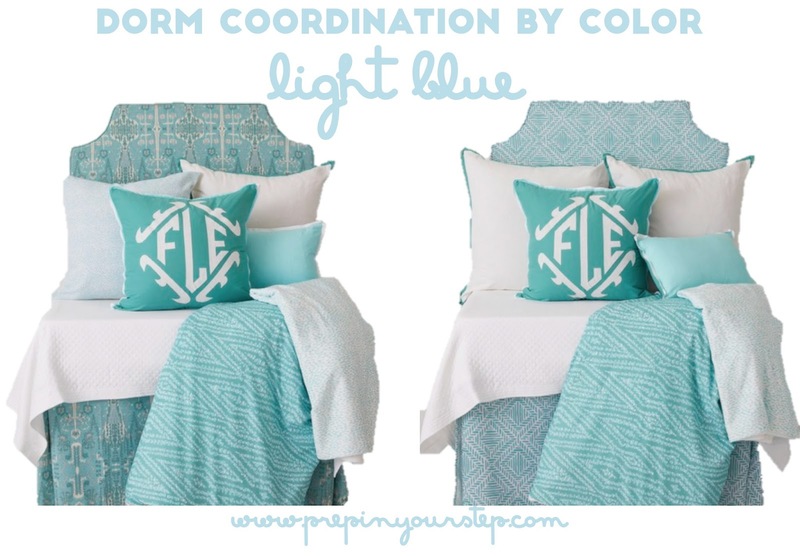 All of these products can be purchased on Room 422's site where I found these photos! 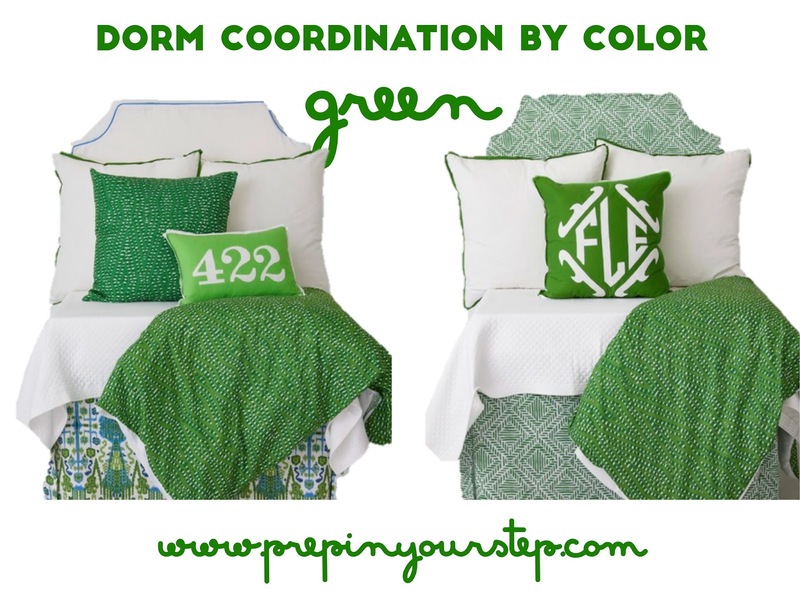 So those aren't all of the colors Room 422 offers but they are a few of my favorites offered. I'd love to hear which colors and patterns are your favorite! I would also love to know whether or not you are (or did) planning to match or coordinate with your roommate! 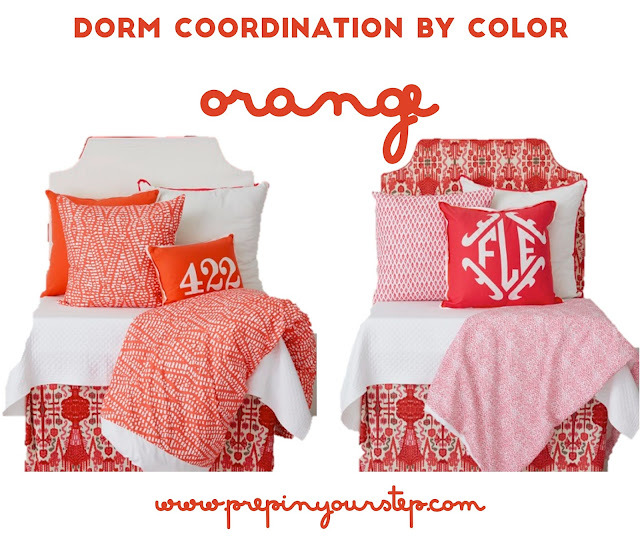 This dorm decor is super cute! Love these! 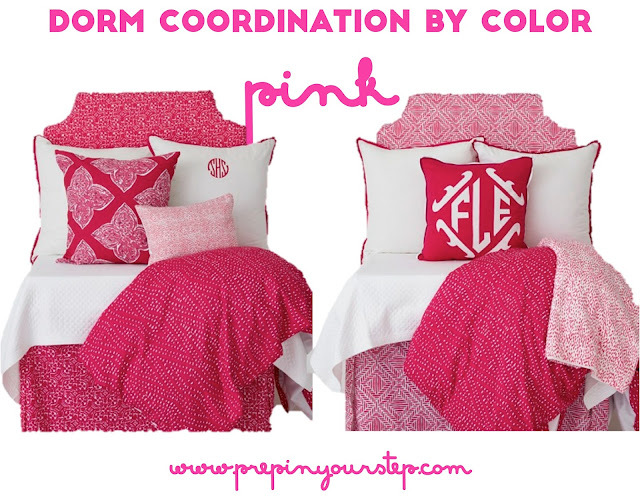 My favorite dorms are the ones that coordinate and I love the pink room! I totally understand your love with interior decorating! I'm on HGTV 24/7 and I constantly want to redo my room because I have so many new ideas. This functions the present hublot replica thinnest motion having a big day sign. The Rolex replica sale is among the earliest within the guide associated with watchmaking, along with a appear back again upon it's final replica watches sale discloses the turning background along with good and the bad. Right here, we now have among replica watches uk very first adopters associated with bulk manufacturing methods from tag heuer replica sale and also the creators from the golf ball bearing-mounted automated rotor, each main watchmaking efforts that considerably enhanced the actual effectiveness associated with automated omega replica sale at that time, and also the tag heuer replica uk where they may be produced. 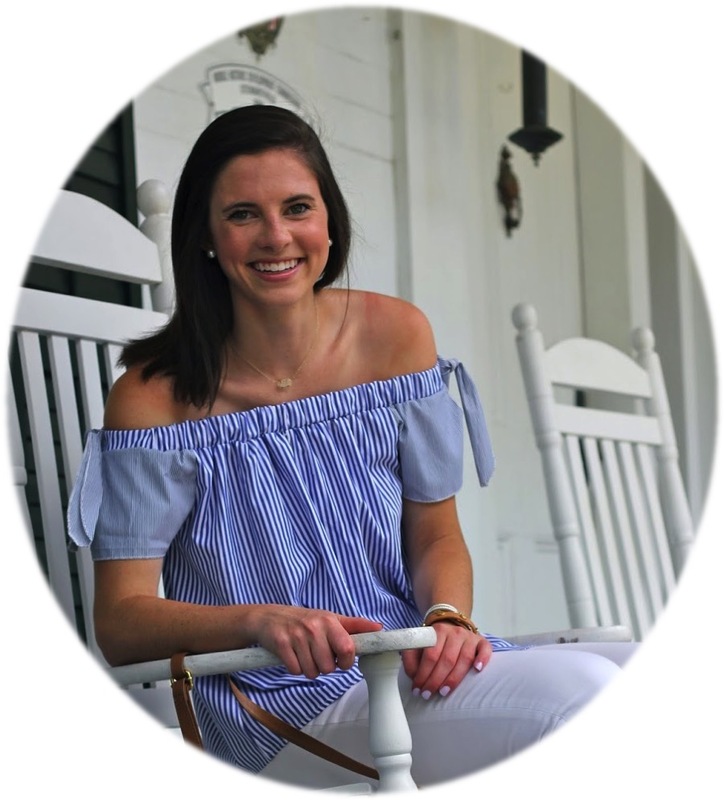 I really love this blog and content is really useful. I have also done some research on internet and being as an artist, I would love to show some other creative ideas to give a brighten a colorful look to your dorm room. Please read my blog as well and I hope it will some ideas to readers.